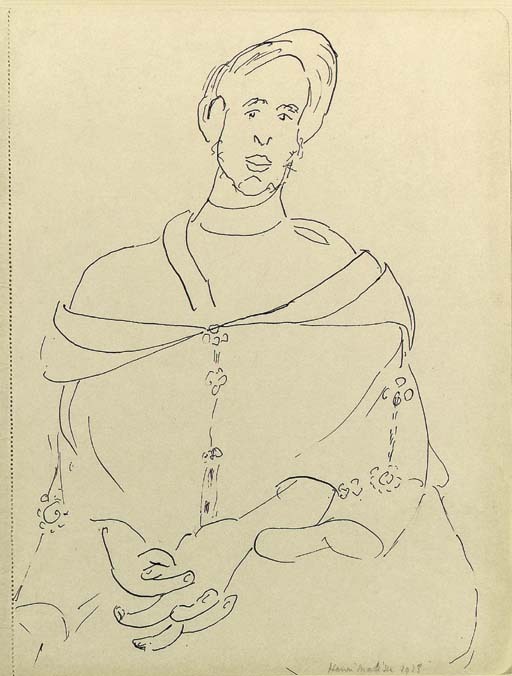 Washington, National Gallery of Art, Matisse in Morocco 1912-1913, March-June 1990, no. 47 (illustrated pp. 131 and 177). This exhibition later travelled to New York, The Museum of Modern Art; Moscow, State Pushkin Museum of Fine Arts and Leningrad, The State Hermitage Museum (1990-1991). In January 1912 Matisse travelled to Morocco where he stayed until April. After a sojourn which took him back to Paris, Matisse returned to Morocco in October and left in February 1913. During his stays and inbetween he produced various oils, watercolours and drawings of the North African landscape, scenery and people. The present work was executed during one of his trips in 1913.